Volunteer Houston: Looking for something different? 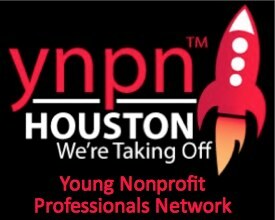 Be sure to check the large database kept by Volunteer Houston for information on opportunities throughout the Houston area. Some current needs are listed below, but for more information see their website here. Need volunteers of all ages(16+) to sort inventory, help in store, assist with events and pick up donations (must be 18+ w/drivers license for pick ups). Great for family bonding, individuals, groups, teaches work ethic, community service (giving back), cure for boredom in the summer for the youth, and great opportunity to add to resume and experience. Additionally its for a great cause, For a Cure Thrift Store donates 20% of its sales to MD Anderson for cancer research efforts. Any time is appreciated, we look forward to seeing you at For A Cure Thrift Store. Teams will be formed once everyone arrives to make sure we have enough teams for the facilities scheduled for visits. In the note section of this need sign up please add how many will be visiting. The Holiday Project – Volunteer Visits… on or near holidays (Nursing Homes)….Bring the Spirit of a Holiday to Those Who Otherwise Might Not Have a Celebration! Make a Difference!! Brighten someone’s holiday and help them know they have not been forgotten. Volunteers always share that they are blessed through their visits. Roughly 50% of the homeless population in Houston suffers from a mental health and/or substance abuse issue. We can refer them to facilities to receive free care that won’t discharge them to the streets. 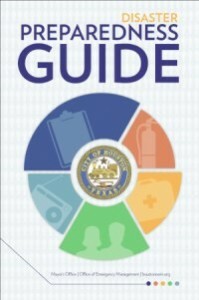 You would be responsible for visiting areas that have high concentrations of the homeless and asking whether they have a mental health and/or substance abuse problem that they’d like to receive care for and also if they want to get off the streets. We will cover the cost of the bus ride to the facility we refer them to. You will be able to set your own schedule and we will first require that you get certified in psychological first aid. Transform a life – Tutor an adult to read! 1 in 4 Houston adults have not earned a high school diploma, GED or equivalent. * 1 in 4 Houston adults live in poverty. ** Do you think there is a correlation? It often takes courage for adults to ask for help, but they do it because they know that learning to read and write better can improve their families’ circumstances for generations to come. For 52 years, Literacy Advance tutors have helped transform lives and communities through the doorway of literacy. (See how you can help change people’s lives here: http://literacyadvance.org/Volunteer/Student_Success_Spotlight/) You do NOT need experience to have this kind of impact – if you are compassionate, have a desire to share what you know with others, and are willing to learn yourself, we will train you for free to become an Adult Basic Education Tutor. The need is great. Classes are forming now. Please contact us today to schedule a one-hour introduction and get started. Please note: volunteers must be 18 years or older. American Red Cross: The Greater Houston Area chapter of the American Red Cross is always seeking volunteers, but given the number of disasters recently around the country and region more volunteers are needed then ever before to enter the ranks and start training for possible future demands. Several general volunteer orientations are offered throughout the summer to get you better informed and started. See the website for more details and to sign-up.